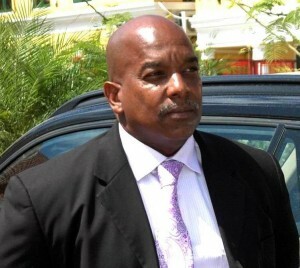 WILLEMSTAD – Today marks the four-year anniversary of the murder of the popular Curaçao politician Helmin Magno Wiels. Hi was killed near the beach of Marie Pampoen. Wiels was the founder of the Pueblo Soberano (Sovereign People) party. The party was once the largest of Curaçao but has been suffering from the consequences of the murder since then. Now it has only one seat in Parliament and it seems that it will not be part of the new government. The president of the party, Lucho Rosales, indicated that the party is preparing for a reorganization, including a new board of directors to revitalize the organization. Wiels will be commemorated tonight at the party headquarters in Wishi/Marchena.